After you’ve done the work to analyze your data in statistical software such as Minitab, it’s likely that you’ll want to organize your output and results into a presentation for colleagues or clients. When you create a report in PowerPoint, use its Best scale for slide show option to optimize the size of a graph at a given screen resolution. Right-click the item (within PowerPoint) and choose Size and Position, and then check Best scale for slide show. Resize critical elements in Minitab before copying. Enlarging the font size of detailed tables and labels can keep them legible in situations where a graph must be dramatically reduced in size. The text in the original graph (left) was enlarged beyond its default size (right) within Minitab before copying over to Word or PowerPoint. Use a file format that maximizes clarity. 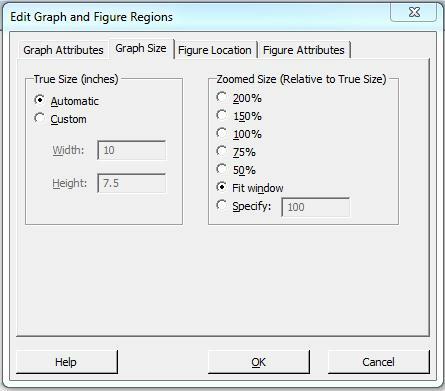 Though resizing by clicking and dragging within your report isn’t recommended, you can minimize its negative effects with one of the following file formats when you paste your graph using Edit > Paste Special: the Enhanced Metafile to maintain the clearest graph text or the Bitmap format to retain the crispness of graph points and symbols.